So, i feel that 2014 has been a good year - for other people. For me it has been challenging (not in the best way) both professionally and personally....that's not to say there haven't been good times, but i ended this year thinking things could have been/progressed better. Even my blog has suffered under this challenging year. I have seen those around me celebrate weddings, experience new relationships, new jobs, promotions and the like, whereas I have predominantly been a witness to these good fortunes rather than experience them for myself. It makes wonder whether I have done or am doing enough to achieve my goals....... That said, i'm grateful for being alive, when so many are not. I'm grateful for my relative good health, my family, my old & gold friends, the new people I have met & started new friendships with! As the final hours of 2014 beckon, I don't dare to be too optimistic for the New Year (i'm not down for the "New Year New Me movement"), however I look forward to 2015 and pray for faith, love, strength & progression. I thank you all who have taken the time to read and/or follow my blog; have a Happy New Year I wish you all the best for 2015! 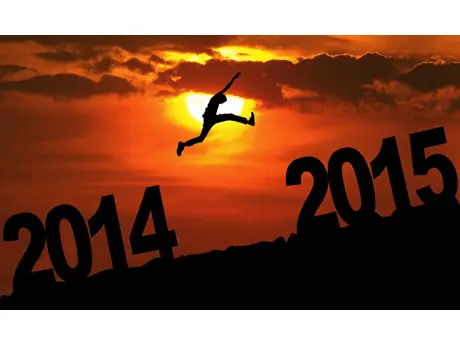 Wishing you a better 2015!